It’s the month of June, and that means one thing. Not the school holidays, for we’re no longer children, but Singapore’s largest annual beer festival Beerfest Asia from Thursday 16 June to Sunday 19 June! Beerfest Asia has changed somewhat. Ownership of the festival has evolved, with Singapore Press Holding’s Sphere Exhibits running operations on site this year, as opposed to the years before when the Timbre Group spearheaded things. That’s largely going to be transparent to festival goers, though. What’s more important for them is that the number of alcoholic offerings at this year’s event has increased from the 400 in 2015 to around 500 this year, and that they can still expect to have a roaring good time with the various activities on-site. 1. 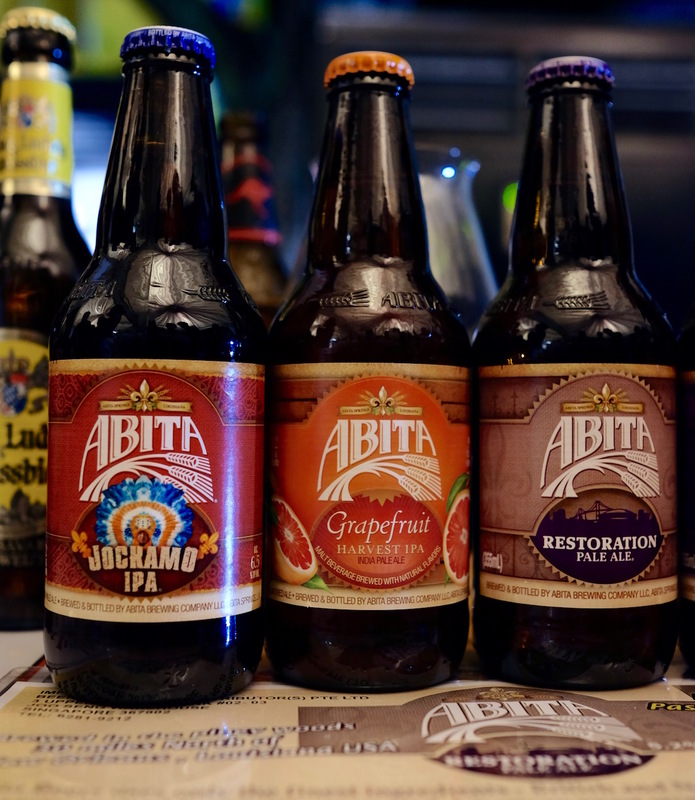 Abita Grapefruit Harvest IPA (BID Beer, Booth B19). This Louisiana-based brewery is best known for its Purple Haze raspberry flavoured lager, and in a rather similar vein this recently introduced beer sees real Louisiana Ruby Red grapefruit infused into the beer for a fruity, zesty zing. 2. Archipelago Blemished Flemish Saison (Archipelago Beer, Booth B15). Local craft brewery Archipelago has been surprising of late, churning out a good number of seasonal small brews to excite our beer palates. One of the latest is the Blemished Flemish Saison, a Belgian-style summer favourite that’s altogether fruity and slightly tangy from the use of Belgian yeast. 3. Archipelago Juniper Sahti (Archipelago Beer, Booth B15). Likewise, Archipelago’s Juniper Sahti draws inspiration from the classic Finnish-style sahti beer, traditionally brewed with a variety of malted and unmalted grains such as barley, rye, wheat and oats. And like its inspiration, juniper berries are added in for flavour. 4. Benediktiner Weissbier (Yen Investments, Booth R13). Traditionalists would definitely enjoy this Bavarian wheat beer, made totally in accordance to Germany’s Reinheitsegebot beer purity law. Expect this cloudy brew to exude aromas and flavours of honey, banana, raisins and a hint of sweet spice. 5. Brothers Coconut & Lime Cider (East of Avalon, Booth B13). One of the newest ciders from the English cidery, the Brothers Coconut & Lime is a pear-based cider blended with delicious coconut water and zesty lime juice for a clean, refreshing and fruity drink perfect for warm summer evenings. 6. CAP Don’t Break The Oat (TSA Wines, Booth B1). One of the latest beers to arrive on our shores, Don’t Break The Oat from Swedish brewery CAP is an oatmeal stout with notes of roasty coffee, liquorice and ash. 7. Cockies Surf Coast Blonde (Cockies Beer, Booth B0). This blonde ale hails from Barrabool Hills Brewery out of Geelong in Victoria, Australia, and it’s a thirst-quenching, lightly fruity and vibrant beer you’d want to enjoy while tanning at the beach. 8. Matilda Bay Fat Yak Pale Ale (SABMiller, Booth B20). This American Pale Ale from Australian brewery Matilda Bay is an amber coloured beer made for easy-drinking, with a subtle hop bitterness balancing a fruity, bready finish. 9. Fourpure Flatiron Red (Smith Street Taps, Booth B6). 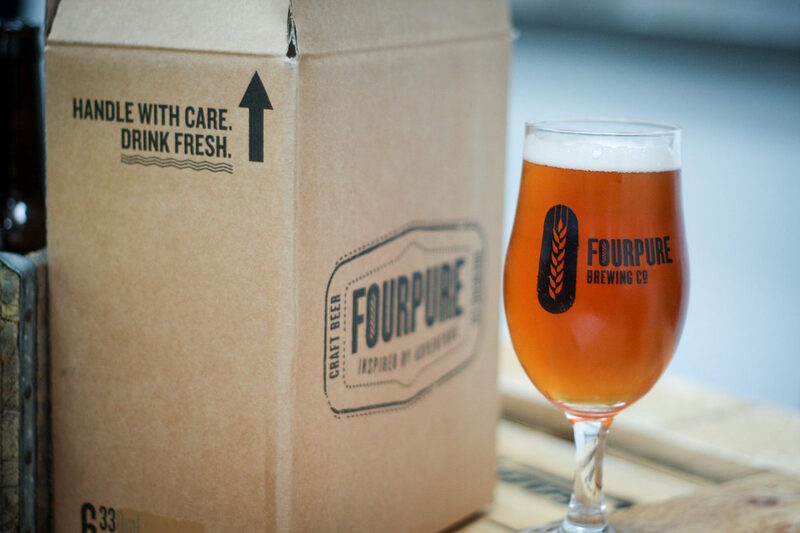 Beers from Bermondsey, London-based Fourpure was first introduced in Singapore early last year, and the Flatiron Red is the latest addition to its core range. Expect notes of sweet caramel and toffee balanced with bright, citrusy American hops. 10. Hardywood Bourbon Barrel Cru (Smith Street Taps, Booth B6). Beers from Richmond, Virginia-based Hardywood Park Craft Brewery will make its debut in Singapore at Beerfest Asia, and its Bourbon Barrel Cru is what craft beer geeks would go crazy for – a Belgian Abbey-style quadrupel that’s been aged in bourbon barrels sourced from Virginia. 11. Hertog Jan Grand Prestige (Starbev, Booth B8). The Hertog Jan Grand Prestige from Hertog Jan Brouwerij in the Netherlands is an English-style barleywine, a big, bold beer high in alcohol that’s sweet and bitter at the same time. It’s an award-winner too, landing the title of ‘Belgian Style Dark Strong Ale’ during the World Beer Cup in 2014, and the ‘Netherlands Best Dark Barley Wine’ at World Beer Awards 2015. 12. Hida Takayama Stout (Epicurean Nomads, Booth B18). The Japanese seem to have a knack for making stouts, and this strong stout from Hida Takayama from Gifu prefecture is a perfect example; brilliantly intense and rich yet well balanced. It’s so good it won the ‘World’s Best Stout’ title at the World Beer Awards in 2010, and again in 2012 for ‘Asia’s Best Imperial Stout’ at the same competition. Only 20 bottles available at Beerfest Asia. 13. Holgate Temptress Chocolate Porter (MSBev, Booth B11). As a beer style porters can be a little bit of a hit and miss, but this porter from Victoria, Australia’s Holgate Brewhouse infused with rich Dutch cocoa and whole vanilla beans is a bulls-eye. Luscious chocolate, coffee and vanilla notes will challenge for dominance on your palate. 14. Innis & Gunn Original Oak (Smith Street Taps, Booth B6). The result of a happy accident when a well-known distillery approached this Edinburgh, Scotland seeking to season some of their oak casks with the brewery’s beer back in 2003. What resulted, when they finally tasted the beer that came out of it, was this sweet, malty ale accented with oaky notes. 15. Kaiju Where Strides The Behemoth Double Black IPA (Smith Street Taps, Booth B6). We’re generally more familiar with the easy drinking beers that come out of most of Australia, but the Kaiju beers of South East Brewing Company from Melbourne is possibly one of the most hoppy you’ll get Down Under. This double black IPA combines the roastiness of a Cascadian dark ale and the hoppiness of an IPA, and with alcoholic strength to boot. 16. Kentucky Bourbon Barrel Ale (Alltech Lexington Brewing & Distilling, Booth B3). The award-winning Kentucky Bourbon Barrel Ale from Alltech Lexington Brewing and Distilling Company of Lexington, Kentucky was a big hit when it was here in Beerfest Asia a number of years back. And no wonder – it’s a chuggable beer with the distinctive bouquet of a well-crafted bourbon, having been aged for up to 6 weeks in freshly decanted bourbon barrels from some of Kentucky’s finest distilleries. 17. Lamzing If You Like Piña Colada (StoneHead x Lamzing, B14). 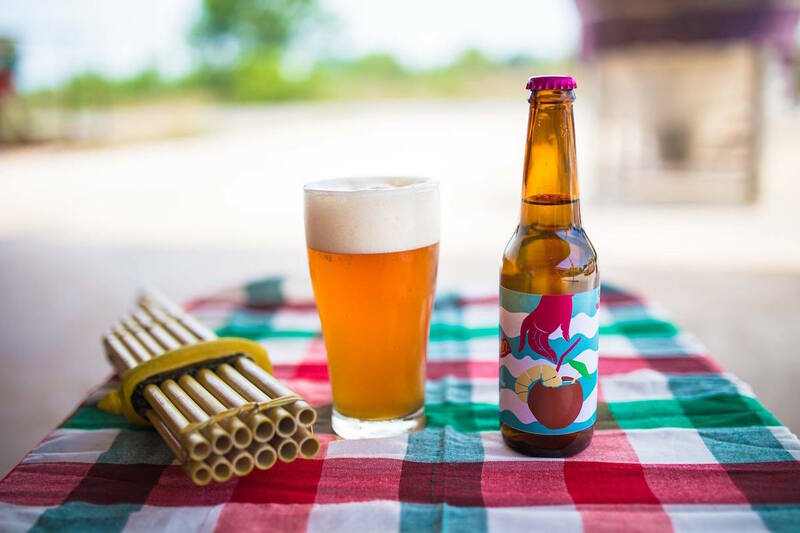 Singapore first got a taste of this beer from the Thai craft brewery – it brews in Cambodia, though – at Craft Singapore earlier this year, and the Piña Colada beer, with its coconut and pineapple flavours just like what you’d expect from the tropical cocktail quickly became a hit. 18. Lamzing Sticky Rice Mango Saison (StoneHead x Lamzing, B14). We’re not really too sure how our favourite Thai dessert of mango sticky rice would taste as a beer especially in a Belgian farmhouse style beer, but we’re most excited to try. 19. Lervig Fish & Cow Berliner Weisse (Smith Street Taps, Booth B6). Norwegian brewery Lervig takes ginger and mint and brews them into a German Berliner Weisse beer style which is typically lactic and slightly sour, but the aromatics help to balance the acidity somewhat for a most refreshing, unique beer. 20. Mikkeller Prinsep Pils (Smith Street Taps, Booth B6). Danish cult brewer Mikkeller recently opened up Mikkeller Bar in Singapore, and one of the beers brewed for the bar is this pilsner named after Prinsep Street where the bar is located. 21. Mokai Cult Elderflower Cider (The Liquor Company, Booth E1). Scandinavian ciders tend to rank somewhat high on the sweetness scale, but the Cult Elderflower cider from Danish cider brand Mokai combines the acidity of apples with floral notes of elderflower for a highly refreshing – and delicious – summer drink. 22. Moon Dog Old Mate (TSA Wines, Booth B1). Melbourne craft brewery Moon Dog is known for producing some of the most stylistic beers to come out of Australia, but this time it tones down a little with this new addition to its core range. The Old Mate is a pale ale exuding distinct Cascade hop characters of pine, wood, spice, peach and orange, complete with a lengthy resinous hop bitterness. 23. Rogue Ales Cold Brew IPA (Smith Street Taps, Booth B6). What happens when you make a proper West Coast style IPA, and then blend it with cold brew coffee from one of the most famous coffee purveyors in the world? The Rogue Ales Cold Brew IPA of course, a collaboration between the Eugene, Oregon-based brewery with Stumptown Coffee Roasters from nearby Portland. 24. Siren Craft Vermont Tea Party (Smith Street Taps, Booth B6). The Wokingham, England-based brewery amps up the zesty bergamot notes of loose leaf Earl Grey tea with the addition of lemon zest, and combines bright grassy hoppiness for a delightful palate cleanser. 25. Spencer Trappist Ale (TSA Wines, Booth B1). This Belgian Trappist blonde ale is truly special as it comes from St Joseph’s Abbey in Spencer, Massachusetts, the first Trappist brewery to be certified outside of Europe. That’s right, this beer is actually brewed by monks, which should make its drinking a most spiritual experience. 26. 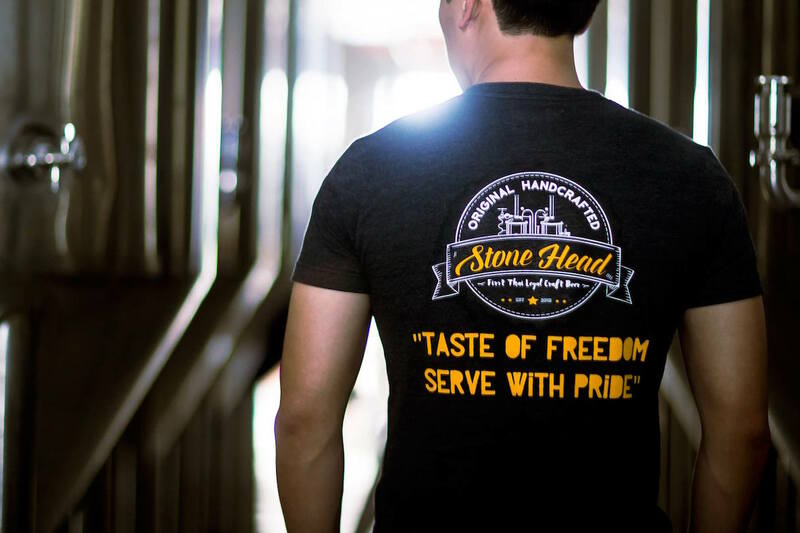 Stone Enjoy By 4 July (Smith Street Taps, Booth B6). San Diego’s Stone Brewing Co has always been known for making cutting-edge, hop-forward beers, and the Enjoy By 4 July – part of its Enjoy By series – is a big, citrusy, and floral IPA. It’s a limited editional seasonal, as you can expect. 27. Straffe Hendrik Heritage (Epicurean Nomads, Booth B18). The Straffe Hendrik Quadruppel is a strong Belgian ale made by the Halve Maan Brewery based out of Brugge, Belgium, and the Straffe Hendrik Heritage is a limited-edition version that takes that beer and ages it in oak barrels for one year to infuse and mellow out its flavours. 28. Stone Head Lemongrass Kolsch (StoneHead x Lamzing, B14). Take the classic German Kolsch, a beer style that originated from the city of Cologne, and then infuse it with Thai lemongrass sourced from an organic farm in the country’s north, and you have an Asian-flavoured crisp beer with flavours not unlike the tea you get served when you first enter a Thai spa. 29. Tuatara Outrigger Pacific Pale Ale (Eastory Asia, Booth R6). New Zealand brewery Tuatara is one of the biggest proponents of using Pacific hops from Australia and New Zealand when making beer, and the Outrigger is a refreshingly crisp pale ale that is loaded with seven different Pacific hop varietals in Galaxy, Enigma, Victorias Secret, Riwaka, Nelson Sauvin, Ella, and Motueka. There are certainly many more beers and ciders to try – some 470 more – but this list would be a good start. So if you haven’t yet, go get your tickets for Beerfest Asia over at SISTIC. Disclosure: The author of the article is a co-founder of Smith Street Taps, which will be exhibiting at Beerfest Asia.